A traditional Good Friday worship service can be a little dark and solemn for a six-year-old and their peers. 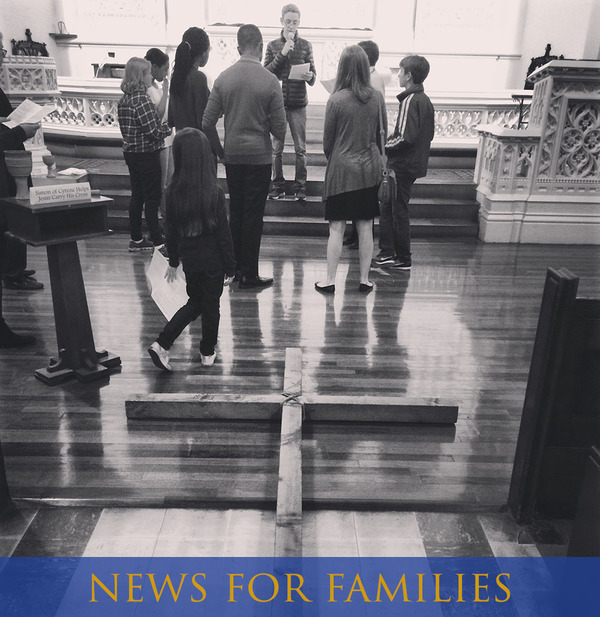 We've sought to blend tradition and a kid's perspective by adapting the Stations of the Cross into an activity that is both kid-friendly and meaningful for adults. Come join us for this special family-friendly Good Friday worship service next Friday, April 14, at 12pm here at Advent. Holy Week starts this Sunday! Hope to see you with us in worship as we take this journey toward Easter together! Every year in church, we remember the last days of Jesus’ life, his death, and his resurrection. There are happy moments and sad moments, as well as learning moments. This Sunday is called Palm Sunday, and it is the day in the church we remember Jesus' entrance into Jerusalem with palm fronds. Join us at Sunday School this week when we tell the story of Christ who lived in the world with us, and the discuss what that might mean for us who live by his light. Thanks to those of you who have signed up to prepare and serve at our Easter Breakfast fundraiser! If you haven't yet, we could still use your help! In particular, I am still looking for a few parents and youth to assist with food prep from 3-7pm on the day before Easter, Saturday, April 15. On Sunday there are two shifts, depending on whether your family wants to worship at 9am or 11am. The shifts are 8:30am-10:50am, or 10:10am-12:30pm.